Running a full-scale social media marketing campaign for one business is a lot of work. You’re responsible for creating and scheduling content, keeping up on analytics, honing strategies, and developing a brand voice that engages directly with potential customers. All across multiple accounts, ideally with some coordination between them (but without too much crossover). Luckily the tools that assist in this kind of work have become more sophisticated. As a social media marketing professional, I’m here to tell you about the most essential apps and services that you can use to succeed. This is the number one essential tool. It makes managing posts across platforms much easier. You can plan and schedule your content in advance, across multiple platforms, and a whole lot more depending on the service you choose. Hootsuite is the most well-known and popular scheduler, but there are many options out there. Services like Buffer, Sprout Social, and Social Pilot all have the same basic set of features. However, their user-interfaces and other functionalities can be wildly different. To find the one that works for you, consider the scale of your project(s), budget, and the ancillary tools that come with some platforms (phone app in addition to web browser, social media analytic tools, etc…). Don’t be afraid to try a new platform and find out how it really works. Many of these platforms have free trials or even full plans for free. Trying something is the best way to determine if it will suit your needs. “Social listening” is the process of monitoring an account or set of accounts 24/7 in order to get the most data points as possible- a feat not many humans can pull off! Advanced social media analytics is impossible without some kind of social listening tool like Hootsuite, BuzzSumo, and TweetDeck. It can be tricky to find the right one, or collection, especially on a budget. I recommend taking a look at what each platform you’re active on has to offer for free. From there, you can determine what additional information you’d like to have, and seek out the tools that can fill the gaps. Adobe Premiere Cut (iOS and Android) is the go to app for video production for social media. This free app allows you to edit video files on your phone, and the amount of options is very impressive. Soundtrack support, color and lighting touch-ups, and combining clips from multiple sources is all supported. If you plan on doing regular video content in your social media marketing (it is very engaging), this app comes highly recommended. Datally (Android only) is an app that Google put out that empowers heavy data-plan users to take control of their data usage. A social media manager spends a lot of time on their phone. Unlimited data plans are expensive, and not always an option. Datally makes sure you only use data when you want to, which can help curb overall usage by 30%. Clips (iOS only) is another video editing app, but this one is of a different breed. It excels at creating cute, short videos that feature graphics, live captions, and animated photos. It’s the perfect app for creating fun videos to share on Instagram. Cute catches the eye on social media, and this tool can definitely help do that. Being a social media manager is a job where you get to wear a lot of hats. Copy editor, statistician, and graphic designer all come into play. It really is a lot of work, and many people who are starting their own business underestimate the time commitment and level of expertise required. That’s totally understandable. Lucky for you, Upswept Creative can help! 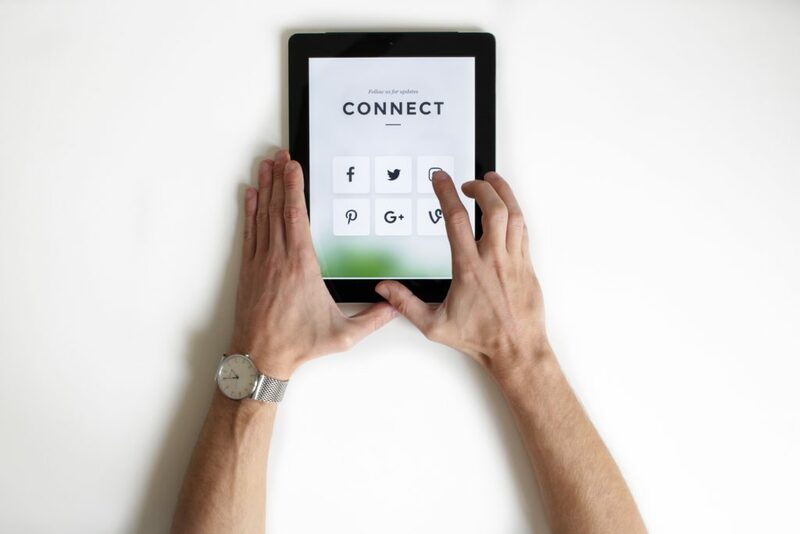 Our very own Social Media Maven is not only a social media expert, but also an expert at meeting each client where they’re at in terms of budget, time commitment, and experience. Find out how she can help you and your business today! Reach out and schedule a consultation, on us.